Palate – The beautiful red fruit from the nose shows impressive follow through onto the palate. There is a delightful mocha character, with notes of raspberry, black cherry and ripe plums that create a splendidly complex wine. The wine has a fine, yet grainy tannin structure, great texture and a long lingering finish. Climate & Soil: Mediterranean with the rainfall. Approx. 650mm per annum. 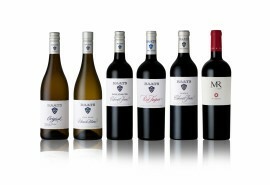 The grapes were selected from various vineyards that are located in the Stellenbosch region, specifically from Devon Valley. The main soils types associated with these selected vineyards are Decomposed Granite, Tukulu, Clovelly, and Hutton. The different soil types and climatic conditions allow for warmer fruit flavours, as well as adding complexity to the wine. Vinification: The wine was fermented in stainless steel open top fermenters, with manual punch downs occurring 3 to 4 times per day. Primary fermentation took 7 days, and a maceration period of 14 days followed. Malolactic fermentation took place in barrels, thereafter the wine was matured in 2nd fill 300L French oak barrels for 18 months. Wo wird der Stellenbosch Merlot "Kweekskool" 2016 hergestellt? 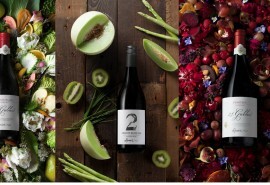 Der Stellenbosch Merlot "Kweekskool" 2016 Rotwein wird in Stellenbosch in Südafrika hergestellt. Wo kann man den Rotwein Stellenbosch Merlot "Kweekskool" 2016 kaufen? Sie können den Stellenbosch Merlot "Kweekskool" 2016 Rotwein bei Stellenbosch oder in unserem Shop kaufen.